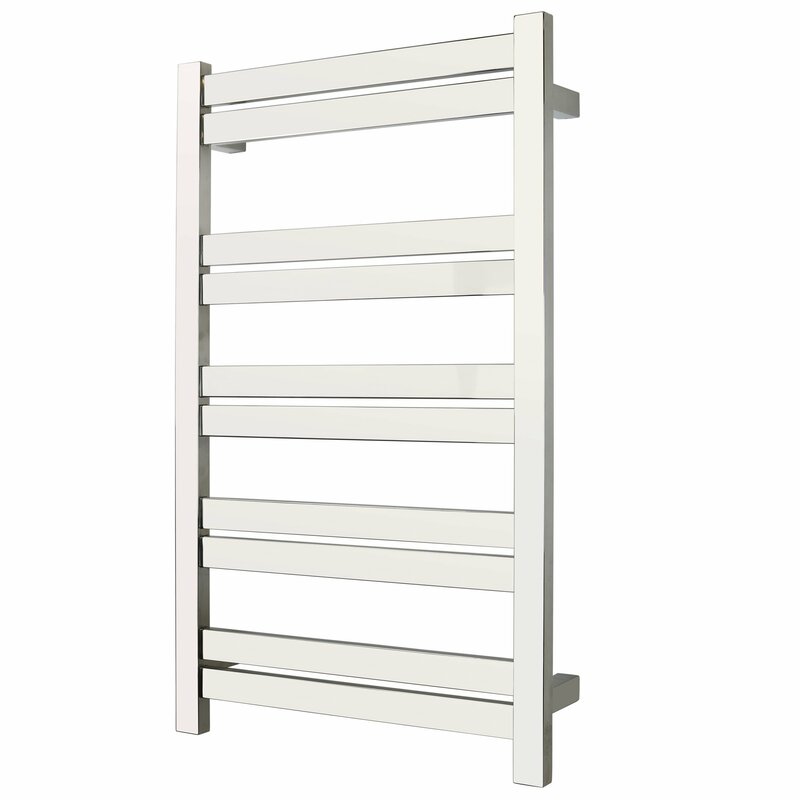 Sometimes huge performance comes in small packages, which is perfectly embodied by the Grande 10 towel warmer from WarmlyYours. 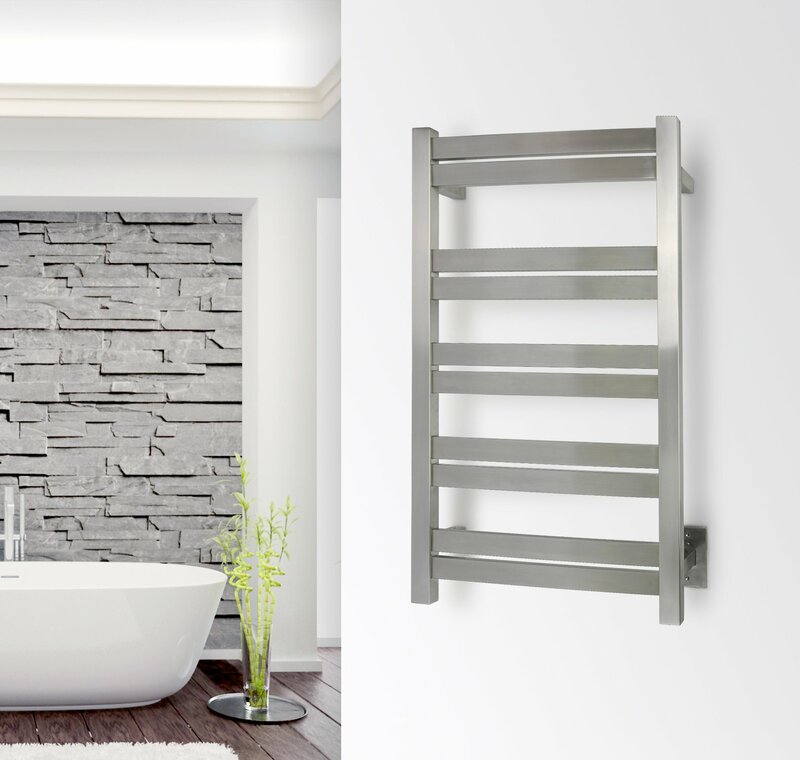 The compact profile of this model means it can be installed in a wide variety of locations, while its heat output of 460 BTUs per hour stands toe-to-toe with nearly any electric towel warmer on the market. 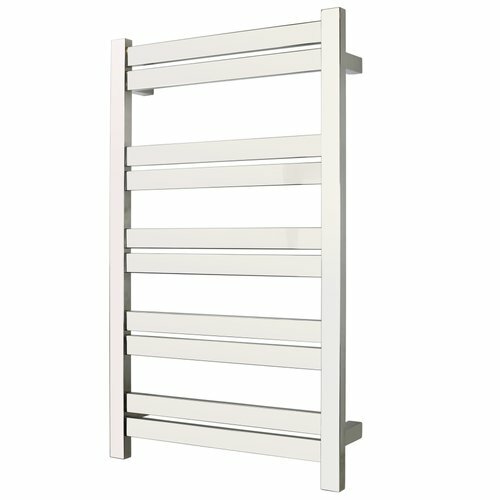 The broad bars of the Grande 10 offer extra surface area for expedient heating and the design incorporates a spacing that allows the top pair of bars to perfectly accommodate hand towels. With its highly polished finish and 304 stainless steel construction, the Grande 10 is as elegant as it is durable. This model comes with built-in TempSmart™ overheat protection to prevent the unit’s surface temperature from exceeding 149°F (65°C).